Mayor Bowser: Protecting Ratepayers and Planet! 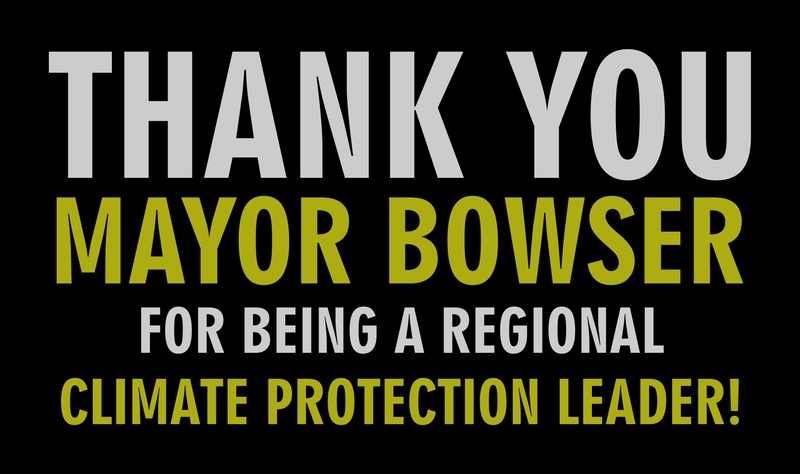 Our congratulations and thanks to you for demonstrating strong leadership, both locally and regionally (maybe even nationally), on the climate protection front. Your administration has started to set the tone in the District in support of aggressively engaging in the fight against global warming and protecting the economic and environmental health of all residents. – OPPOSED THE EXELON MERGER: You protected the wallets and clean energy future of District residents by refusing to settle with Exelon in their proposed bid to take over Pepco. You expressed strong support for the Public Service Commission’s decision to deny this take over. – SECURED MORE WIND ENERGY FOR DC AND SAVED DISTRICT RESIDENTS $45 MILLION: Secured a new power purchase agreement (PPA) for clean and affordable wind energy and saved District taxpayers $45 million dollars over the next 20 years. This is the largest wind power purchase of any city in the country! 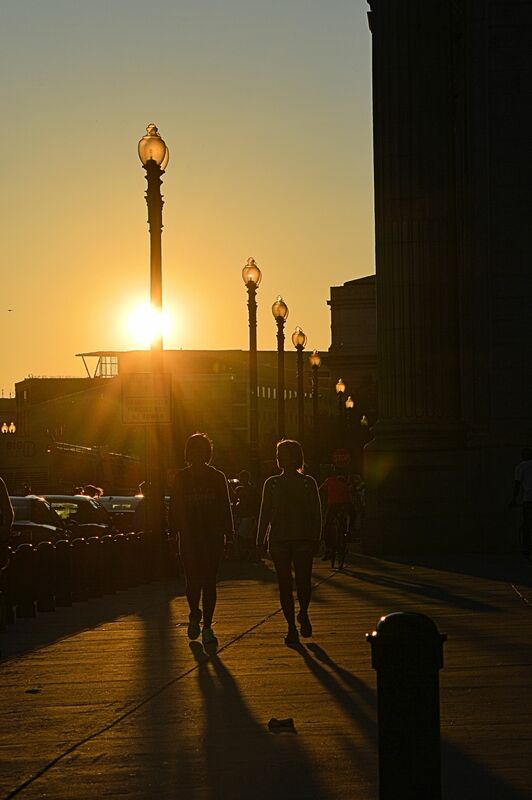 – COMMITTED TO SUSTAINABLE DC: Committed your administration to moving forward with the Sustainable DC initiative and its emphasis on the importance of engaging on carbon reduction and climate mitigation strategies. – APPOINTED TOMMY WELLS TO LEAD DOEE: Put in place strong leadership at your newly renamed Department of Energy and Environment (DOEE), to support your efforts to lead the region in efforts to combat global warming. This is a great start for the first year of your new administration. Now as Pope Francis is scheduled to visit the District in September and address Congress on climate change, and as the world approaches the critical United Nations Climate Change Conference (COP21) in Paris in November, your administration has a very unique opportunity to continue to lead the region in the fight against climate change. This is unique moment in time that could make all the difference for the District and the planet. – MOVE PAST CONSIDERATION OF EXELON: There are NO conditions that will make a deal with Exelon a good one. As countless expert witnesses testified to the commission, nothing can protect the District from Exelon’s huge debts, its opposition to renewable energy and its long-standing practice of taking away community control over the power systems it buys. The Public Service Commission agreed citing Exelon’s “inherent conflict of interest that might inhibit our local distribution company from moving forward to embrace a cleaner and greener environment.” Exelon can never really be a DC team member in our efforts to protect ratepayers and combat global warming. They are just too mired in the past. DC needs to look to the future. – REAPPOINT SANDRA MATTAVOUS-FRYE TO THE OFFICE OF THE PEOPLE’S COUNSEL (OPC): The District needs to have its team in place to meet the challenges of a clean energy future. 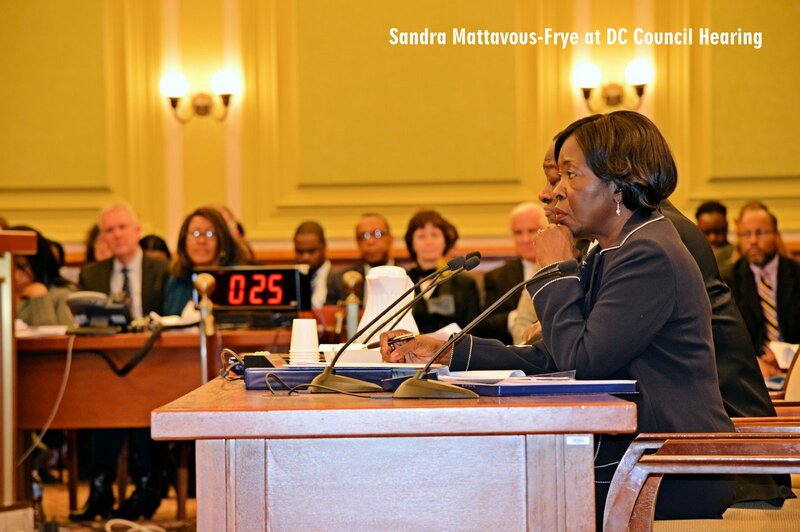 Sandra Mattavous-Frye has proven she is a good team member and has the mettle to represent the interests of District consumers. She has accrued the experience necessary to use all the modern tools, including renewables, to bring reliability and affordability to all District residents. The DC Environmental Network (DCEN) supports her re-appointment. SEE DCEN LETTER. – LEAD THE DISTRICT DISCUSSION ON PUBLIC POWER: There are over 2,000 public power systems across the country that are owned and operated by the people. There are more public utilities in the United States than investor owned companies, and many have better reliability and affordability than Exelon. Your administration should work with Councilmember Cheh and others, and do what is necessary to have a serious conversation about this option. Of course, there are many things we are hoping the District will do to participate in the global fight against climate change. 2015 is a critical and historic moment in this fight. Please keep moving forward. Comment on DDOE Stormwater Pollution Plan! 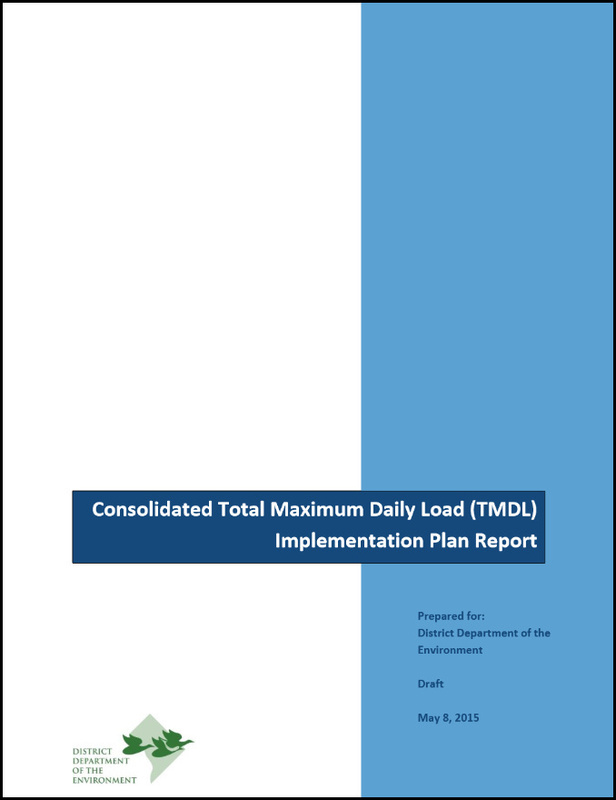 The August 14th Deadline for commenting on the District Department of the Environment’s (DDOE) Draft Consolidated Total Maximum Daily Load (TMDL) Implementation Plan is fast approaching. SEE PLAN HERE! The Natural Resources Defense Council, DC Environmental Network and others are having important conversations about how we might approach finalizing our comments on this important plan. We are developing focused recommendations to help DDOE revise and strengthen the plan before EPA can approve it. ► Read the DC Stormwater Plan Tool-Kit. ► Submit comments to DDOE by the August 14th deadline. See how to submit comments here. ► If you represent an organization, sign-on to comments being prepared by the Natural Resources Defense Council (NRDC). 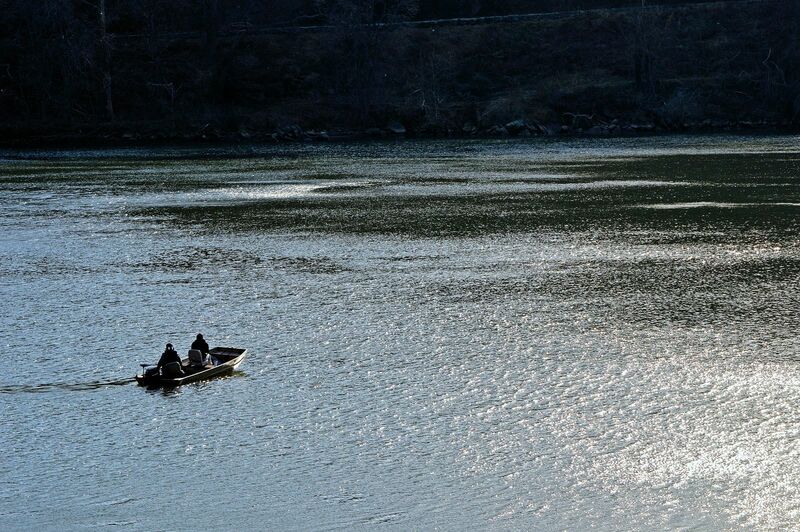 – This plan is a critical undertaking that will guide long-term efforts to reduce stormwater pollution and achieve clean water goals in Washington, DC. – It’s important that we adopt a plan that is both achievable and ambitious so that we can enjoy cleaner water in the District as soon as possible. – We must commit to go beyond our current level of effort if we want to achieve clean water goals in our lifetimes. DDOE’s existing programs are insufficient to make the needed progress in a reasonable timeframe. – The plan should be revised to evaluate alternative actions that the District of Department of the Environment could take to reduce stormwater pollution more quickly. – For example, DDOE could require private sites to do more to curb their discharges of polluted runoff. Or it could increase its own investment in green infrastructure practices that capture rain where it falls. – Once a wider range of options are considered, DDOE and citizens can better understand which actions will make the most difference in accelerating the clean-up schedule. – Beyond the lengthy schedule, the plan also fails to explain what methods will be used to achieve certain pollutant limits, essentially relying on wishful thinking. DDOE must set forth a plan for meeting all of its reduction targets. – The plan should also integrate increased monitoring of stormwater discharges so that DDOE and citizens can understand the real-world impact of plan implementation on water quality. – DDOE has long been a national leader in urban clean water policy, and it should continue to embrace that leadership role by strengthening this plan. As it stands, this plan falls far short of the commitments other jurisdictions in the region are making. We believe that DDOE can and must do better. If you have any questions feel free to contact Chris Weiss (DCEN) or Becky Hammer (NRDC).